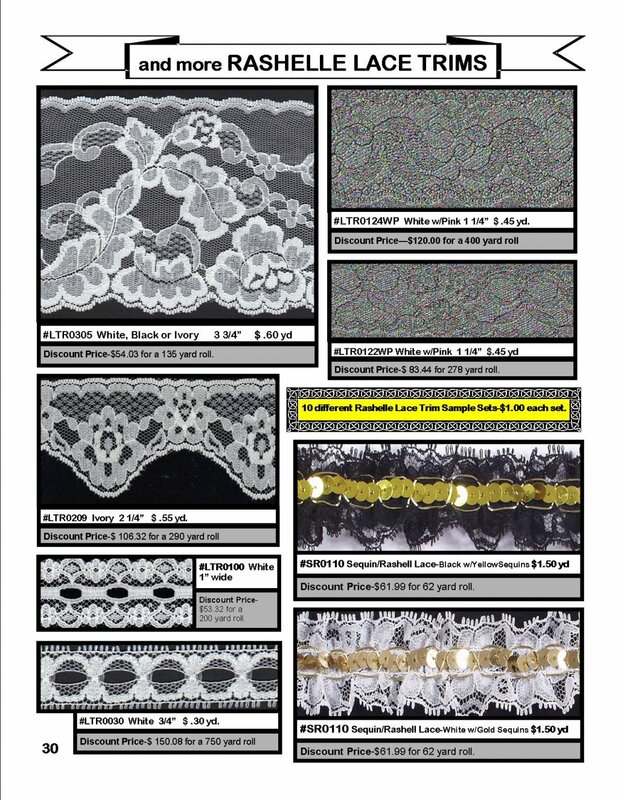 Rashelle Lace Trims - Fabric Depot Co. 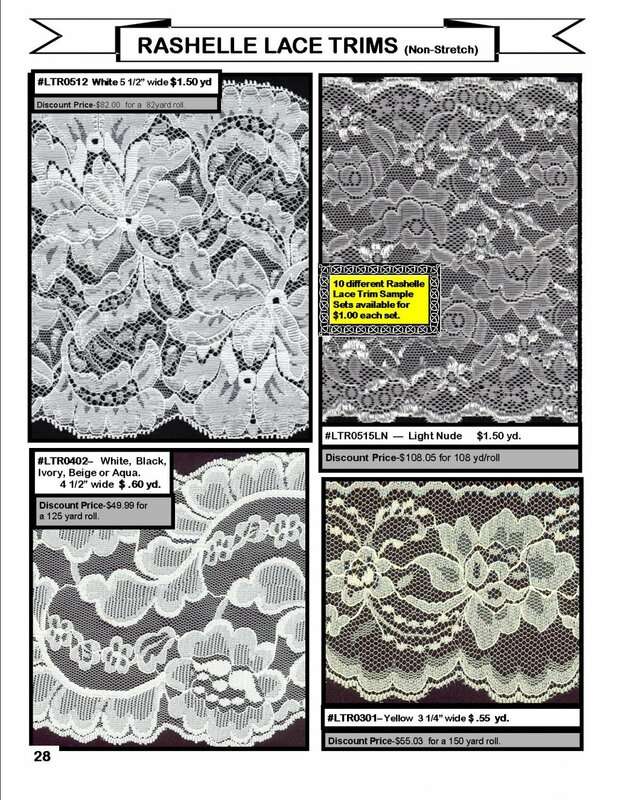 Fabric Depot carries an extensive line NON-STRETCH Rashelle Lace Trims. 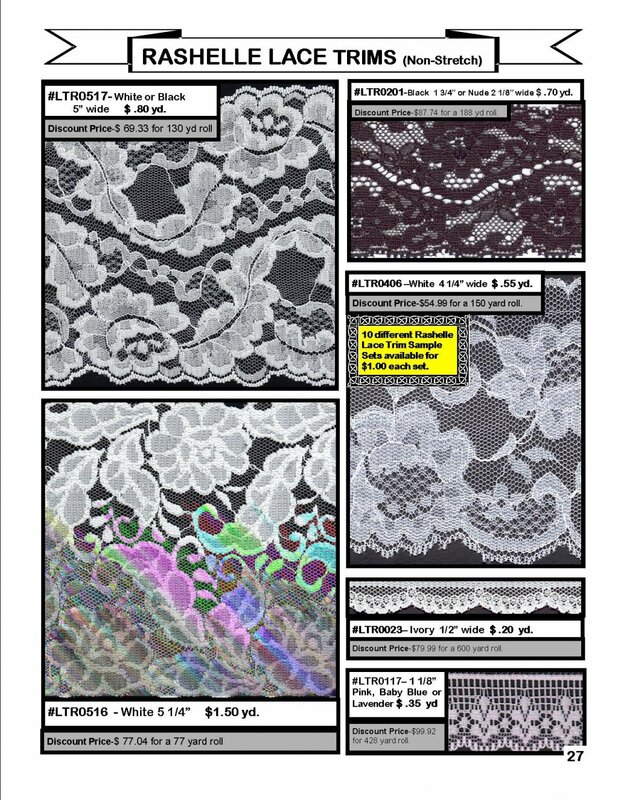 These trims have no stretch and are suitable for multitudes of craft and sewing projects, all non-knit garments, some lingerie & corsets, and can also be used as a seam tape on woven fabrics. 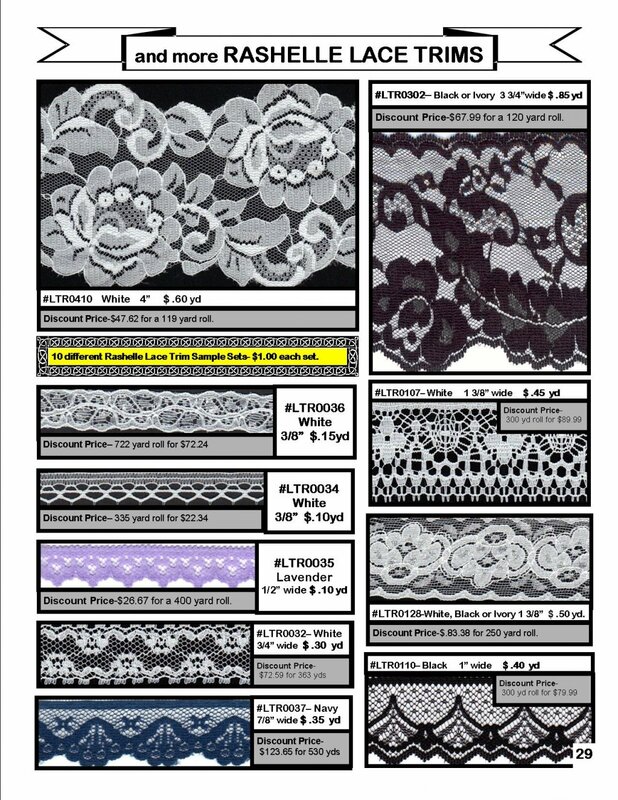 Widths range from 1/2 inch to 7 inches.